From July 2018, mobile page loading time will be officially a primary factor for your SERP ranking. Google made this announcement at the dawn of 2018. You need to really work on your website mobile page speed. There is no turning back from it. Accelerated Mobile Pages can be your ultimate salvation. With mobile page speed being a direct factor from now, you have to get ready before your website is penalized for not loading quickly. AMP spawn your website with quick loading time on mobile devices. In this post, you will learn what AMP is and how it can really benefit your business website. So, are you ready to rumble? Let’s get you started with it. What Is An Accelerated Mobile Page? First, AMP is an abbreviation for Accelerated Mobile Page. Second, it is an open source coding standard for mobile publishers. The main motive of AMP is to cater a fast mobile page loading. A responsive mobile website is interactive but it can be slow because of heavy desktop elements. 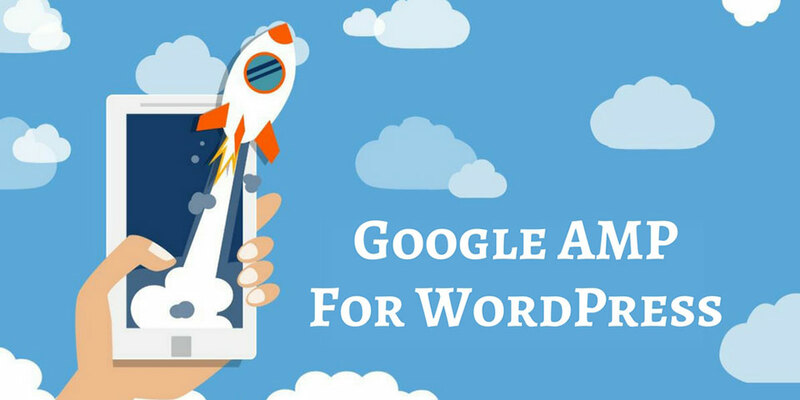 Google coined the idea and term of AMP and since its launch, Google backed it up and encourages website owners to use it for their websites. There are many things that are good about an Accelerated Mobile Page. Let’s discuss that in detail. The major upside of accelerated mobile pages is its speed. It is ultra fast. They are tailor-made for mobile browsers. Cable connections are generally fast, while mobile networks are deemed slower than that. This is the main reason Google developed the script for faster page load time in mobile devices. The text in the AMP is easy to read. I reckon it even better than a responsive website which makes the user experience more interactive and engaging. It is the best mobile solution for a WordPress website. When I say AMP is an open source coding standard with minimal web elements, I didn’t mean that it is an old web design protocol. It is a modern technology which filters the over heavy elements of a website and displays the content that is intended for better user experience. It is the layout of a website in the minimalist form with all the essential information. The brighter side, if your website is on WordPress.com, then you don’t have to install AMP standalone. It is now integrated with your website. That makes WordPress more awesome. As I stated above, AMP is recommended by Google. Google is by far the most preferred search engine. They prefer AMP powered website and rank them higher than everyone else. So, if you want to rank better, you need to adapt to accelerated mobile pages. The SEO ranking hike of your website will be better than ever. Let’s break them through to have a better understanding of Accelerated Mobile Pages. The first thing you need to understand about AMP HTML is that it is a revamped version of HTML to ensure fast speed of a web page. AMP JS is responsible for the best performance practices in class such as fast loading of elements. It also ensures that resource loading is fully managed to render page quickly. It is basically the same caching process to deliver the web page more quickly to your viewers. What Do You Need To Remember For Your WordPress Website? The first thing you need to remember is you don’t need to design a new website now. AMP is just a regular web page with minimal design. That is all about them. How Can You Use AMP For Your WordPress Website? Install the official Automatic AMP WordPress plugin and activate it. It’s just one-click installation. Once you activate the AMP plugin, it will append all your web pages into AMP. Don’t worry it will not redirect your user to it. Edit your CSS to make AMP according to your user’s taste and convenience. For editing, you just need to go to wp-content→ Plugins→ Accelerated Mobile Pages→ Template.php. See, it is as simple as this. So, what do you think about the post? Tell me everything you are facing in comments and I will be happy to help you regarding that. Ciao for now!!! This post is submitted by Evan Ross. He is a WordPress developer and a part time blogger. He works for SeattleDesign.biz, a group of experienced Seattle web developers. He is an admirer of sharing his innovative ideas with others on the technology trends.